Minister of Communication, Adebayo Shittu has inaugurated a Committee to review the status of the National Broadband plan and suggest ways of accelerating infrastructure deployment, to achieve broad band penetration target from 11% to 30% by 2018. 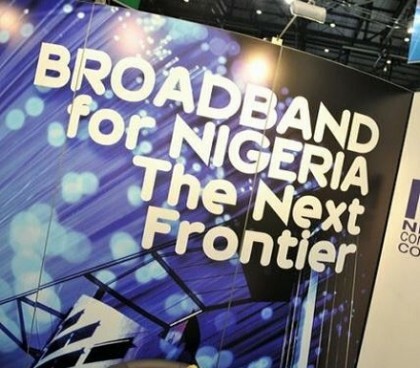 The Minister had earlier in January in an interactive session with the Media, said that the Federal Government will achieve the 30 per cent national broadband penetration by 2018 as projected in the country’s National Broadband Plan. Shittu said Nigeria had so far achieved between 18 to 20 per cent penetration as a result of private sector initiatives. The minister said government was encouraging all GSM and ICT companies to invest in the communication sector to expand the broadband penetration. He said the government was also encouraging a number of initiatives, including foreign companies coming to invest in the country, who had expressed interest. “I have had the privilege of attending a number of international platforms where I met a lot of them as the chief marketer of the industry. “The ministry of communications is not into business, government has no business in business, what the ministry does is to provide an enabling environment for operators and industry entrepreneurs to be encouraged to invest.” He said. Shittu said that he is very confident that within the next two years, Nigeria will hit the target of 30 per cent.